Hi everyone! 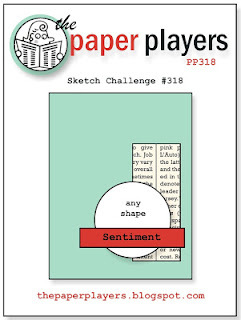 It's Sunday (my favorite day of the week) and that means it is time for a new challenge at The Paper Players. 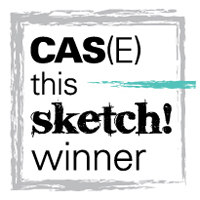 This week the awesome Jaydee is our hostess, and she has a great sketch for us to play along with. Love this layout, so many options! I decided to try out a new stamp set for the first time, Swanky Snowdudes by Paper Smooches. 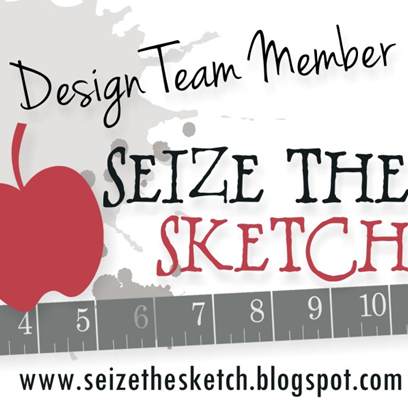 I love these fun images and they are super fast to color. After all, a snowman is white! I just used a little hint of blue around the edges for a shadow. These stamps have matching dies, but as I planted a little bird on the hat, I cut the whole thing out by hand. I don't mind, I kind of miss all the fussy cutting I used to do before (almost) every set had matching dies. 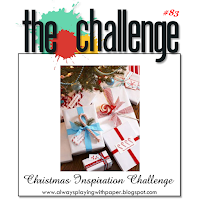 I am also playing along with the Christmas Inspiration Challenge at The Challenge. I was inspired by the colors. 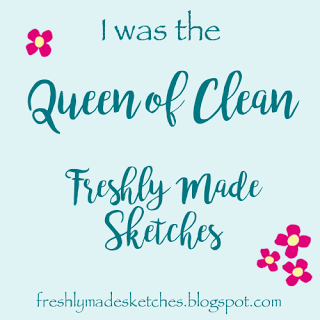 That's it, just a quick post today! Please pay a visit to the rest of our wonderful Design Team at The Paper Players, and we hope you'll find time to play along with us this week, too! Well your snow dudes are adorable and so is this card! Fun for the holidays! I love Snowdudes! I have this set and it makes great cards. Speaking of which, your's is. Love the colors and papers. I love this clean and simple card! The colors are beautiful together! Classy! Very nice colors and font on that sentiment. Adorable, Sandy! Love soft sky with real red and that bikes paper is gorgeous. The perfect backdrop for your swanky snowman and his buddy...super cute! Oh my gosh, your snowdude is so fun! I love the papers...super cute! Adorable card Sandy, Thank you for joining The Challenge. An adorable card and layout. Snow Dudes is definitely stylin'! Thanks for joining us at The Challenge this week! I LOVE that snowman...cute cute cute!! !I pretty much love EVERYTHING about this card...LOL! 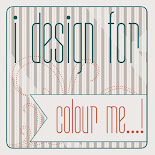 It's adorable with that font..Paper Smooches has such a fun sentiments. Squeeeal! How cute is this little snowdude? He's adorable! I read an article about fussy-cutting...one blogger said she has stopped buying the dies because usually she can fussy cut just about anything! Well, there are some that are easier than others, IMO! I sure wouldn't want to be cutting out a pine branch, LOL! His little birdie friend is pretty cute, too! This is one of those perfect Christmas cards Sandy and I love everything about it, from the snowman and his chirpy friend to the colours, die cut snowflakes and swirl of the sentiment. Gorgeous with a capital G!